10 new episodes of tears, conflict and drama. Comment below and tell us what you think will happen in the final stretch of #MrSunshine. 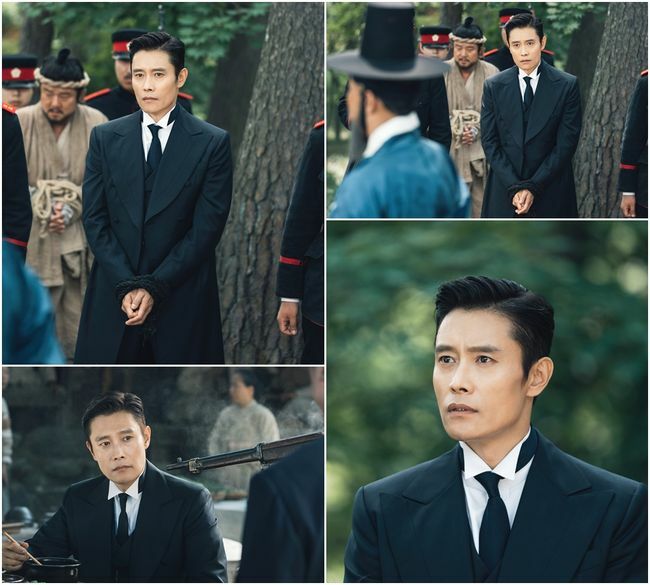 On the latest episode of the tvN drama "Mr. Sunshine", Takashi (Kim Nam-hee) approached Eugene Choi (Lee Byung-hun). Eugene Choi witnessed a teacher from the school with Takashi at Glory Hotel. They looked like they were having a meal together, but it was actually an interrogation. When Eugene asked about it, Takashi said, "An official from Japan doesn't treat women recklessly". Takashi claimed the teacher had caused instigation and Eugene asked if that was real. The teacher had said Japan isn't an outstanding country just because it was civilized faster and that no one could interfere with Joseon sovereignty, but Takashi was vicious and told her to get on with her missionary work. Eugene told him, "You just made a big mistake. You won't be going to Heaven now". When Takashi asked when he was going to buy drinks, Eugene said, "When you're not busy. I'm busy because of you". When Takashi said he was going to let the teacher go, Eugene asked if he did that because he had plans for the night. Meanwhile, Takashi was discovered to be part of the second most influential family in Japan. Original Source (X Sports News via Naver): 'Mr. Sunshine' Lee Byung Hun shoots a gun at Kim Eui Sung, "Killing you isn't even work"
1. [+2131, -74] Eugene Choi, I'm sorry.. Because today's Korea-Japan soccer match.. let's meet tomorrow..
? [+13, -1] I'm sorry too..
3. [+312, -24] Eugene Choi is so f***ing cool ?????? Let's only walk a love path with Ae Shin ? Original Source (OSEN via Naver): 'Mr. Sunshine' Lee Byung Hun to Byun Yo Han, who broke off his engagement, "I'll protect Kim Tae Ri no matter what"
2. [+353, -11] I feel bad for Hee Sung ? ?